Sizewise is a privately owned, global medical equipment and consumer sleep systems manufacturer with more than 20 years’ experience engineering innovative products to meet the needs of bariatric, geriatric, pediatric, and standard patient populations. 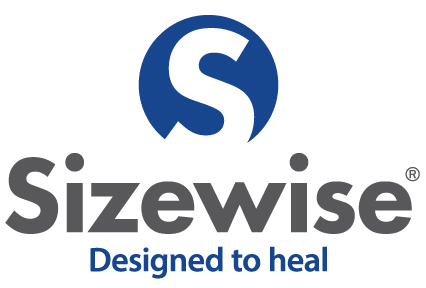 Produced in four manufacturing plants and supplied through more than 65 branches nationwide, Sizewise offers a range of American-made specialty surfaces, bed frames, and mobility devices that enhance patient healing and caregiver satisfaction. Sizewise is headquartered in Lenexa, Kan.
Sizewise Manufacturing has established industry leading sustainability practices and policies. Examples include: powder coating rather than aerosol paint; cutting fluids changed to water-based biodegradable formulas; environmentally preferred products containing no latex, mercury carcinogens, PBTs, or reproductive toxins; and developing the industry’s first line of hospital mattresses free of chemicals of concerns. Sizewise Manufacturing combines expertise, innovation, and state-of-the-art capabilities to take our projects from ideas into full production. Our knowledgeable Dream Team—the research and development arm of Sizewise—has successfully partnered with a variety of companies to develop quality products. While a leader in the medical equipment space, we’ve also manufactured products for use in a variety of industries—including aerospace, automotive, environmental, and recreational. Cuts mild steel sheets up to 60”x120”, 0.875” thick, up to 0.25” stainless steel and up to 0.125” aluminum. Machine is equipped with an auto loader for continuous cutting. Processes include etching, pierce cutting, and profile cutting. Cuts round, square, and other tube shapes. Can handle material from 0.5”-4.0” square and up to 0.188” wall thickness. Material includes both mild and stainless steel up to 20’ in length. Conveyor-driven system equipped with a five-stage washer/pre-coat and batch oven that can handle parts as large as 18”x40”x84”. Powder application system is equipped with powder reclaim capabilities. Multi-cell unit capable of handling assemblies 54” long by 42” swing. Equipped with fully integrated FANUC Arc Mate robot. Sizewise Manufacturing offers RF Welding/Dielectric Sealing options ranging from 1KW to 175KW, including turn table, shuttle, and open-face machines. Our state-of-the-art fabric and vinyl cutting equipment includes Gerber computerized cutting systems and die cutting machines. Our facilities include a vast sewing department with walking foot, single needle, double needle, box stitch, bar tack, flange, tape edge, and seam seal machines as well as snap presses and hot stamping capabilities. Sizewise electronics assembly offers abilities to complete subassembly and batch assembly function, including the ability to test completed assemblies. Wire crimping/termination is available using a Tyco Amp 3K terminator as well as wire harness assembly capabilities. All product designed, developed, and manufactured in the United States.